Walking home from my local train station at 11pm on April 16th, my ears picked up an unexpected sound: the soft, electric buzz of a cricket. Mid-April seemed early to me; it was the first cricket of the year. The sounds emanated from low bushes on the side of the road, and I had to turn my head from side to side a few times to “catch” the sound again. Unlike later in the summer when millions of insects lace the humid night air with a symphony (or cacophony) of chirps, whirrs, clicks, and buzzes, this lone bug was hard to make out. It didn’t take long to identify the species on the website Insect Sound World, which features sound clips by Kazuyuki Hashimoto of the Orthopterological Society of Japan. I discovered that what I heard was a katydid (くびきりぎす) rather than a cricket (こおろぎ). 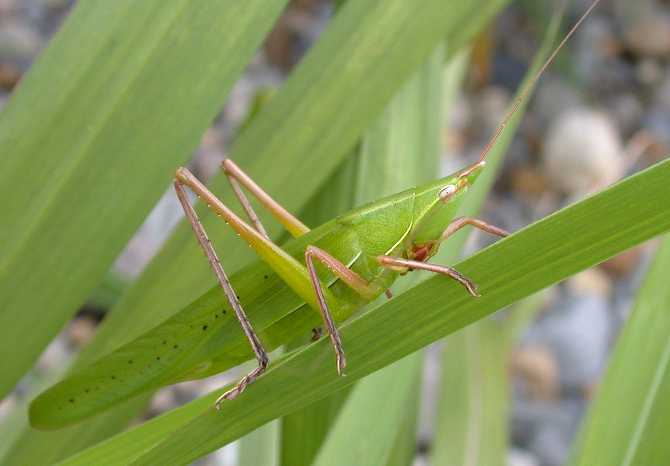 Katydids are largely nocturnal, and produce a “buzzing” sound rather than a “chirping” sound. Listen to a recording of a katydid here http://mushinone.sakura.ne.jp/sound/kubikiri.mp3 and a cricket here http://mushinone.sakura.ne.jp/sound/enma-koorogi.mp3. According to the website, the kubikirigisu katydid matures before winter, lives through the cold season, and sings from April to June. I have always loved summer crickets and katydids for their attractive and subtle voices (actually wing vibrations). Out in the Japanese countryside at night, two of my favorites are the hayashino umaoi (http://mushinone.sakura.ne.jp/sound/hayashino.mp3) and the ezo-tsuyumushi (http://mushinone.sakura.ne.jp/sound/ezo-tsuyumushi.mp3). But we’ll have to wait until at least August for these babies. Audio links from Insect Sound World (http://mushinone.sakura.ne.jp/English/ENGindex.htm).